Try Some Of Chef Alex Padilla’s HOT Dishes At Antone’s Famous Po’ Boys! 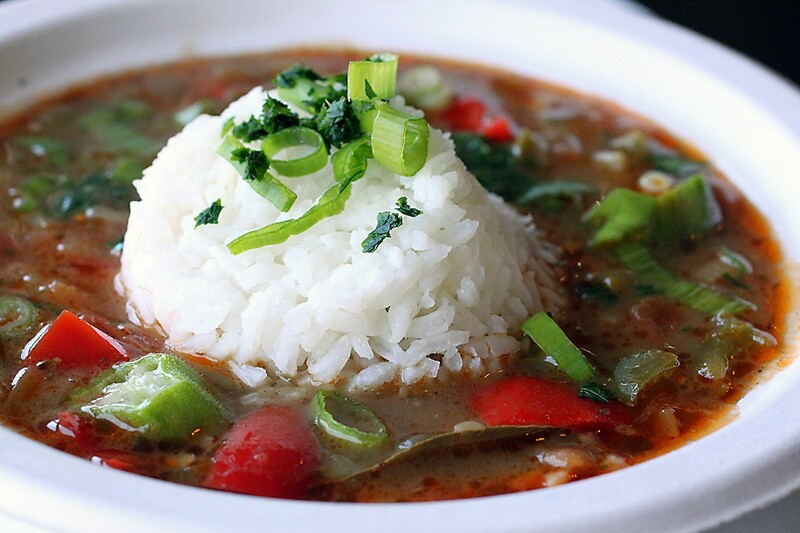 Vegetarian Gumbo at Antone's. Photo courtesy of Antone's Famous Po' Boys. 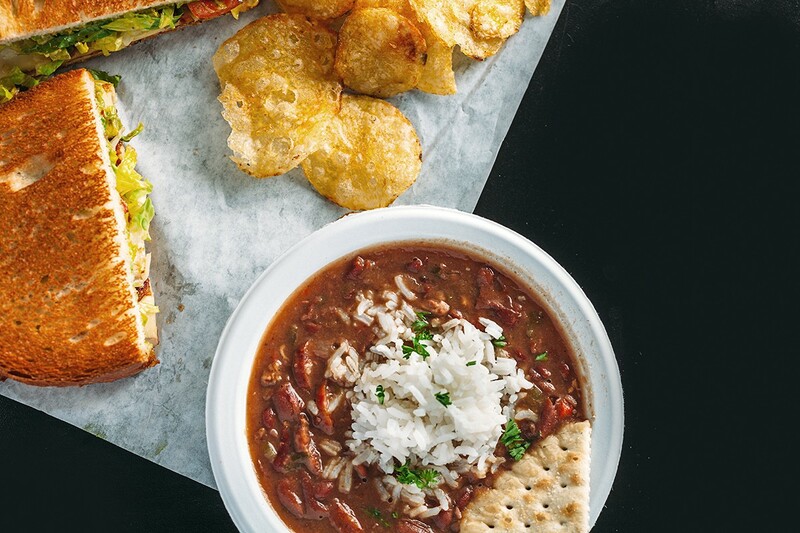 Antone’s is known for its famous po’ boys, but did you know it also has many hot dishes perfect for cooler weather? These were created by Executive Chef Alex Padilla, also of The Original Ninfa’s On Navigation—and recent winner of The Chew’s “Best Chef On The Block—Houston” competition! He’ll soon head to New York City to compete on the national level. Start with one of our three made-from-scratch gumbos—Chicken & Andouille, Seafood or Vegetarian—or hearty Red Beans & Rice, also made from scratch using our own recipe. Antone’s Red Beans & Rice. Photo by Cooper + Ricca. Then, move on to Padilla’s Tex-Mex twist on a Philly Cheese Steak sandwich. Steaming-hot steak is stacked along with peppers, onions, jalapeños and pepper jack cheese on top of a Royal Bakery bun dressed with chipotle mayo. It’s a spicy combination that will keep you warm! 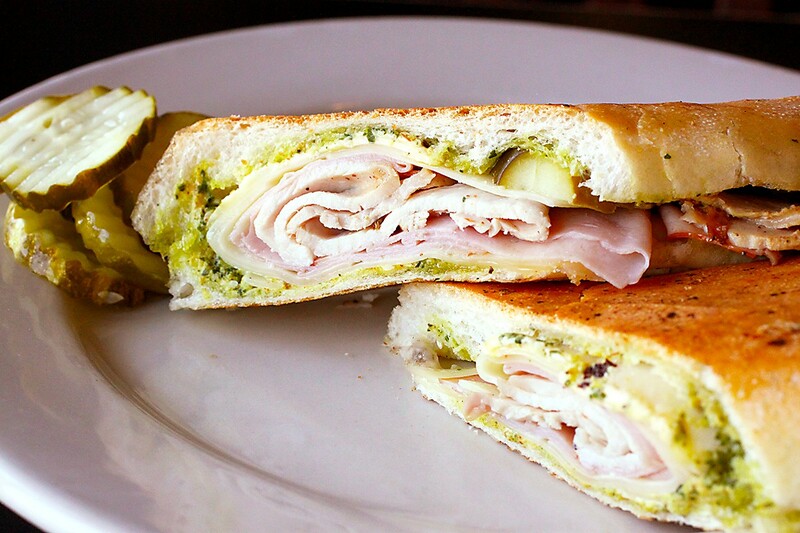 Or, try our pressed Cubano sandwich, filled with pork loin roasted in-house daily and dressed with zingy pesto, Padilla’s special twist on this classic. It’s finished with ham, Swiss cheese, spicy mustard and dill pickles. Those looking for a full-fledged meal ought to give our Fried Seafood Platters a try! There are two choices: the Shrimp Basket with catfish and oysters or the Seafood Platter with crispy-fried shrimp. Both are served with French fries, hush puppies (we think ours are some of the best in town), fresh lemon and tartar and cocktail sauces. Visit either of our two restaurant locations and take the chill off! We’re located in the Galleria area at 4520 San Felipe (just off the 610 feeder) and at 2724 West T.C. Jester (near the 610 North and 290 interchange). Bread Man Baking Co. is making the bread section at select Whole Foods Market locations even better. The stores will be carrying 7 types of loaves from this amazing local baker. Read all the details below.